Spanish Wineskins ZZZ There are 15 products. The history of wineskins extends to beyond memory. Homer from the Odyssey got the Cyclops Polyphemus drink on wine from an udder; Noah was given wine by his sons and Cervantes’ Don Quixote destroyed the innkeeper’s wineskins in one of his rages. Slowly with the passage of time wineskins begin to appear more often in literature. The wineskin is both historic and very relevant due to its characteristics: light, flexible, resistant, attractive, hygienic…. Do you already have yours? At ZiNGS we have the highest quality wineskins. Wineskin Las Tres ZZZ, covered with green corduroy, crepe interior, indicated for fishermen, hunters and mountaineers. Suitable for carrying water, liquor, wine, soft drinks... Can be introduced in the water and in the frigde. Made in Pamplona (Spain). Capacities available: 1 liter or 1.5 liters.IMPORTANT: if you want other capacity, ask us. Wineskin Las Tres ZZZ. Made of genuine first class goat skin, free of stains and cuts, vegetable tanned by traditional process and treated for impregnation of pez. That is what difference from the traditional one. Care instructions inside. Curved and black color. Made in Spain.Capacity: 1 liter, 1.5 liter or 2 liters. 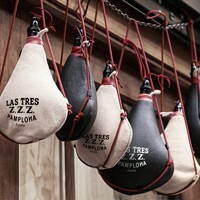 Las Tres ZZZ bota bag, latex interior, straight, is made by hand with first quality goat skin clean of stains and cuts, vegetalmente tanned following a traditional process. Stitching reinforced with triple stitching. Made in Spain. 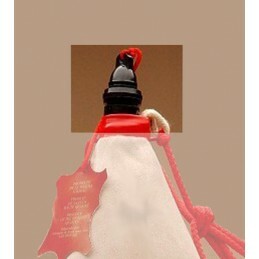 Color: natural tanned leather.Available capacities: 1/4 liter, 1/2 liter, 1 liter, 1.5 liter or 2 liters. Las Tres ZZZ wineskin, curve shape. Triple-seamed. Waterproofing with latex of double-thicknes. Not only for wine, but rather serves for water and carbonated sugary drinks without any problem, so it can use both children and adults. Made in Spain. Color: Natural tanned leather. Available capacities: 1 liter, 1.5 liter or 2 liters. Stopper replacement for Las Tres ZZZ wine skins. Available in two sizes: (model 1) for one and one and a half liters wine skin capacity, (model 2) for wineskins of more than two liters. The stopper is made of bakelite.